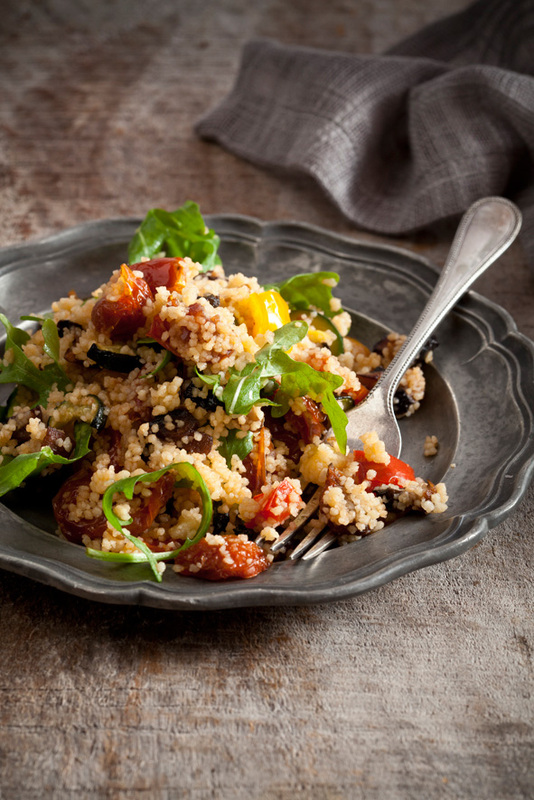 To create this delicious roasted vegetable couscous salad, simply roast your favourite veggies and toss them through couscous with a generous dash of Pronto Mama Greek Slow-Roasted Tomatoes. Place the couscous into a large pot and add 2 cups of boiling water and a pinch of salt. Cover the pot and set aside. Place the aubergine courgettes and peppers into a roasting tray and drizzle with 30mls of olive oil, salt and pepper. Roast for 20 minutes or until cooked through. Break up the couscous with a fork and drizzle with the remaining olive oil. Mix in the vegetables and Greek Pronto Mama. Serve hot or cold garnished with rocket.